Thomas Edison’s workshop, late 1800s. Drawing from Edison’s 1876 patent. This is the one that started it all. Drawing from Edison’s 1877 patent. 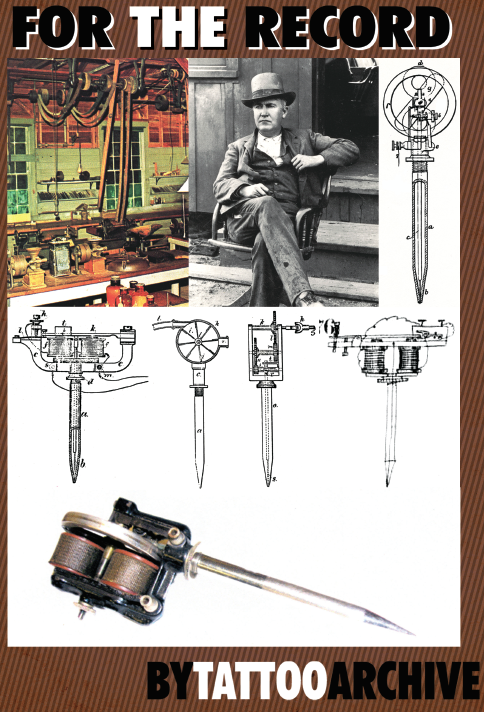 A design idea that Charlie Wagner took for his 1904 patent. Drawing from Edison’s second 1878 patent -- an air or water driven version. Drawing from Edison’s 1878 patent -- a gear driven version. Pencil drawing for the 1877 stencil pen idea from Thomas Edison’s letters. This is the crown jewel of Edison’s stencil pen idea -- the 1876 machine.